Philip Stead can always be counted on to create an enjoyable juvenile picture book. The newest by this Caldecott winning author is “Special Delivery.” The main character, Sadie, wants to send her lonely Great-Aunt Josephine a gift–an elephant. Dismayed by high postage rates, she decides to deliver the elephant herself. Using a variety of transportation means–airplane, train, and an ice cream truck, Sadie accomplishes her mission. This is an outlandish story filled with adventure and determination. This story will definitely appeal to the four and up crowd. Another outlandish tale is Elise Primavera’s “Ms. Rapscott’s Girls.” With magical abilities, similar to Mary Poppins, Ms. Rapscott is the Headmistress of the Great Rapscott School for Girls of Busy Parents. Included in the admissions materials is a self-addressed box in order to safely mail girls to the campus because parents are very busy. 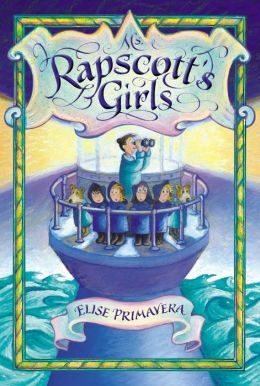 Five girls are admitted to the school and are transported magically through the air to the lighthouse that houses Ms. Rapscott’s school. The trip transporting the girls is only the beginning of a series of adventures. Geared to readers ages eight to twelve, this may or may not be a hit with this age group. Here’s a brand-new middle grade outing to give to future readers of Sarah Addison Allen. Gigi has a strong, southern voice and is facing all the drama and questions that come with being a 12-year-old girl. 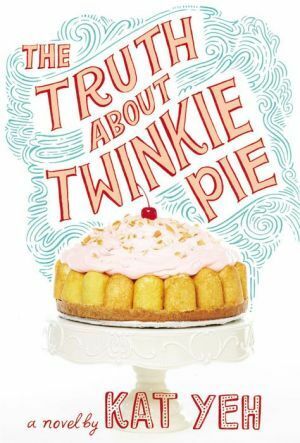 There seems to be a fad of books dealing with food (especially sweets) for youth and adult readers alike. This book didn’t feel as shallow as many of those outings (“Snicker of Magic” – I’m looking at you) but rather took on some real issues in Gigi’s life. The supporting characters are mostly strong, and I liked that friendship dramas and crushes seemed to take a backseat to the driving issue of finding one’s true self. There are a few mature themes (a boozy and world-weary mother at one point) that might keep this best suited to 5th and up. Otherwise, a strong choice for the middle grade crowd. March 2, 2015, will mark the 101st birthday of Theodor Seuss Geisel, Dr. Seuss. Children, including those in the South Orangetown School District, will commemorate his birth by joining in the “Read Across America” event. There is a display of some of his books that we have in our collection in the Children’s Room. As soon as I finished putting out some of the books, a dad checked out three of them. Nothing like a display to pique interest. In addition, there are three other new displays in the children’s room. Books about women for Women’s History Month, books on spring, I got tired of the winter books, and books about libraries and librarians. The Children’s Book Council and Every Child a Reader have announced the finalists for this year’s awards in seven categories. The finalists were chosen by kids through the Children’s Choices Program. This is a joint venture sponsored by the International Literacy Association and the Children’s Book Council. Over 36,000 children read newly published children’s and YA books and voted for the one they liked best. YA book nominees were voted for online by more than 4,000 teens. After the vote has been completed, the winners will be announced during the 96th annual Children’s Book Week, May 4-10. Last year this author gave a talk sponsored by the 5 SOCSD libraries. The book has consistently been on the best-seller list and is a popular book club read. There are two stories. The modern story is about Molly, a teenage girl whose father is dead and her mother is in prison. She lives with foster parents that are neither terrible or great. Molly gets into trouble and must perform community service. That is when she meets Vivian, a 90+ year old who needs help cleaning out and organizing her attic. The second story is Vivian’s and her life as a child arriving from Ireland, living in the New York tenements, and being orphaned by a fire. 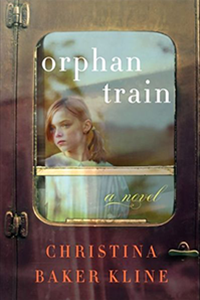 Vivian is placed on a train and sent west where she has many troubling and touching adventures. I could have done without Molly’s story. It was a literary device that was unnecessary and Molly’s storyline can best be described as “cheesy.” Overall, it was an enjoyable read.